Rock specimen of sandstone from Hailes Quarry, Edinburgh, Lothian Region, Scotland. 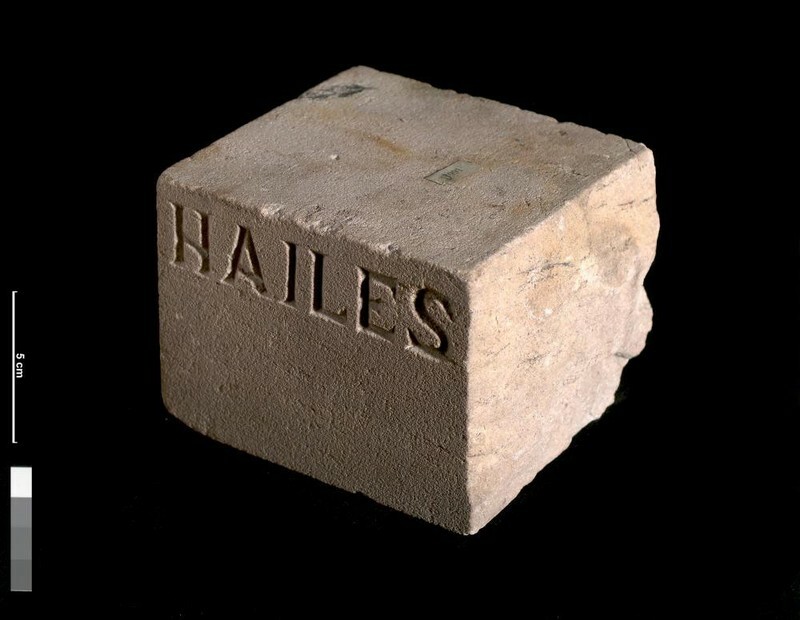 Oblique view of sample block of Hailes sandstone showing hand-polished faces and name of quarry cut into the stone. This specimen is of Carboniferous age. British Geological Survey Petrology Collection sample number U991. The black flecks in the pale yellow-grey sandstone are fragments of carbonaceous fossil plant debris. Large accumulations of such plant debris are what we know as coal deposits, and come from rocks of the same age as the Hailes sandstone. Size of specimen: 10x10x8 cm. Munsell colour code and colour 5YR7/1, pinkish grey. This page was last modified on 11 April 2015, at 22:09.